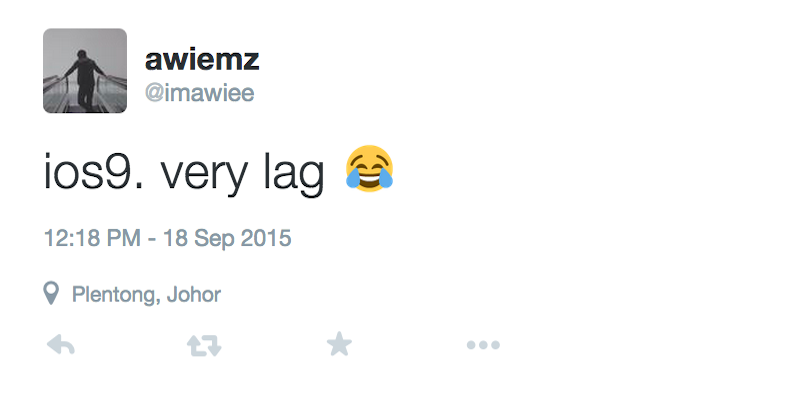 A thread on MacRumors about lagginess and other issues from the iOS 9 update has become massive in size and Twitter is full of complaints. The iDownload Blog has dubbed the iOS 9 problems “lag gate.” Writer Christian Zibreg notes, “Some folks are even going as far as to suggest that iOS 9 is laggier than iOS 8. Unfortunately, I’m one of them as well.” Users are reporting overall lagginess, while on the more extreme end some have experienced system crashes and nonworking devices—and the problems seem to affect newer Apple products alongside the old. As 9to5Mac points out, “as always seems to happen with new versions of iOS, not all users are satisfied,” which is typical of any kind of update across any kind of user base—and Apple’s glitches are generally corrected. But the amount of disgruntled people chiming in on forums and on social media may delay others from adopting the platform until concerns subside. Others maintain faith in Apple to fix the problem fast. How’s iOS 9 working for you?